When we were at our family’s Thanksgiving dinner on Saturday, one of the dessert options at the restaurant was rice pudding. Of course, at the time all we wanted was our pumpkin pie! The pudding did, however, plant a little bug in the back of our minds, one that was for sure not to be forgotten! We were, however, still craving pumpkin (what else is knew?) 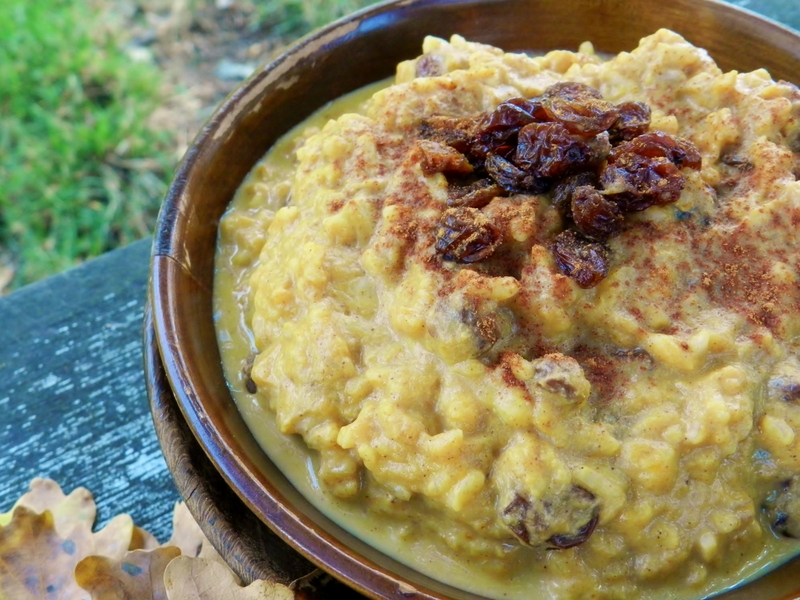 so we made this pumpkin pie rice pudding. We know, we know, it never ends! But we seriously just can’t get enough of the stuff! 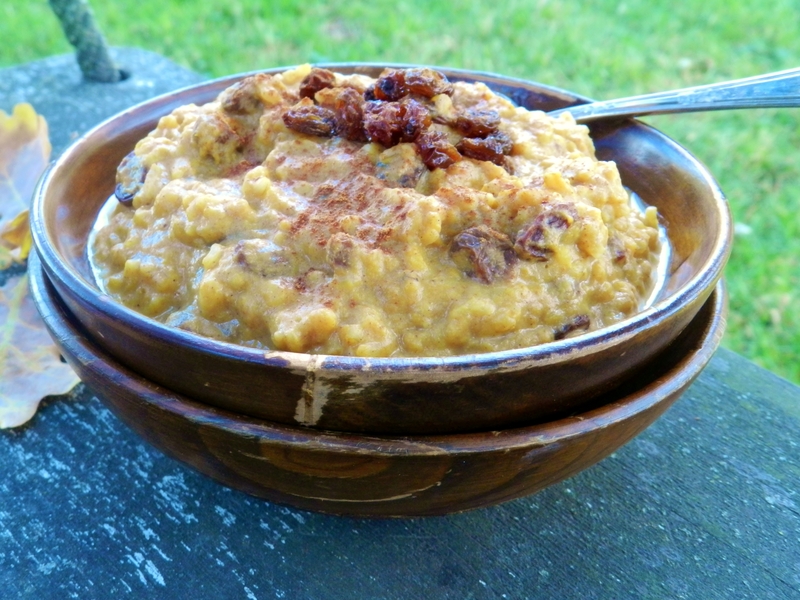 This is what the lovechild of rice pudding and pumpkin pie would look like. Except on a diet, because this dessert is nothing but healthy! It uses brown rice (yay fiber! ), has no added sugar whatsoever (not even honey or maple syrup! 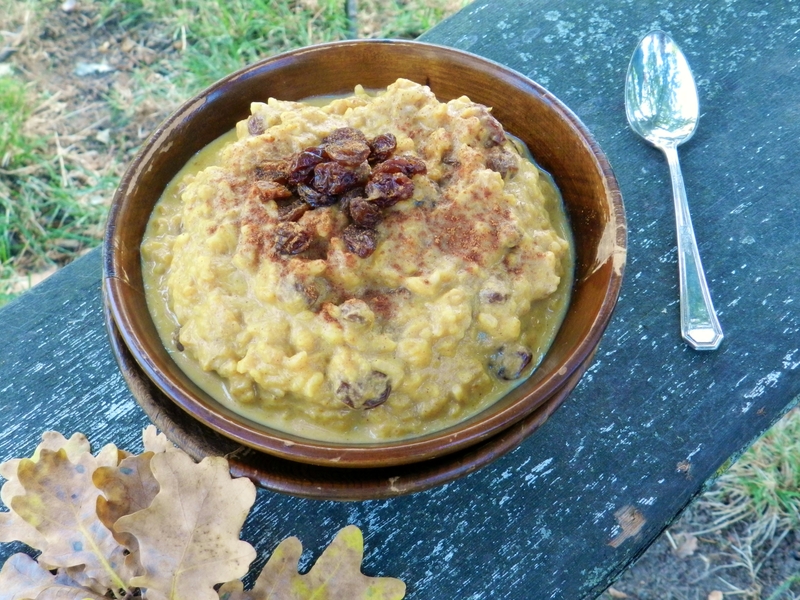 ), is bursting with pumpkin goodness, and is low in fat to boot! The other great thing about this pudding is that it is super fast to put together! Using minute-brown rice, this dessert came together in, well, minutes! You could probably use non-instant short grain brown rice, as well, but you’ll have to make sure you adjust the liquid accordingly. We even suggest looking up some traditional rice pudding recipes to see what their rice-to-liquid ratio is. Add the rice, milk, pumpkin, and raisins to a medium-sized pot and stir until combined. Place on the stove and bring to a boil over medium-high heat. Turn the heat to low and simmer for about 10 minutes, or until rice is cooked and pudding is thickened- be carfeul because it might splatter! Do you like rice pudding? What are some of your favourite pumpkin desserts? 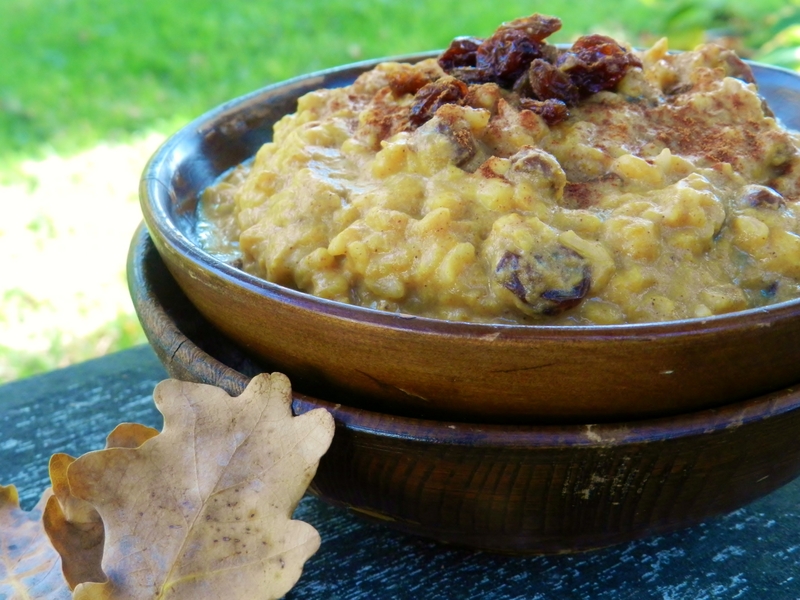 Posted in Uncategorized and tagged brown rice, easy, egg-free, gluten free, healthy, low fat, low sodium, no added sugar, pumpkin, quick, rice pudding, wheat-free. Bookmark the permalink. 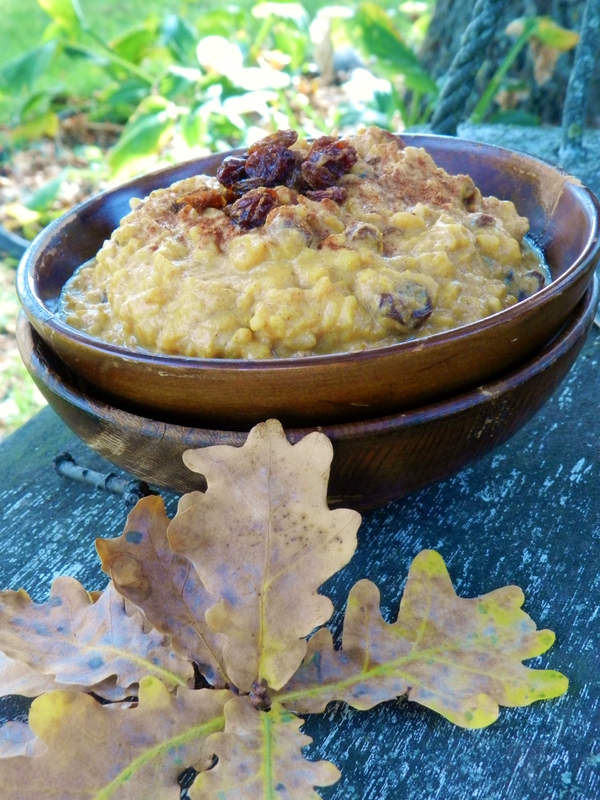 Love rice pudding and pumpkin. Will have to give this a try. Thanks! :) We hope you’ll love it as much as we did!